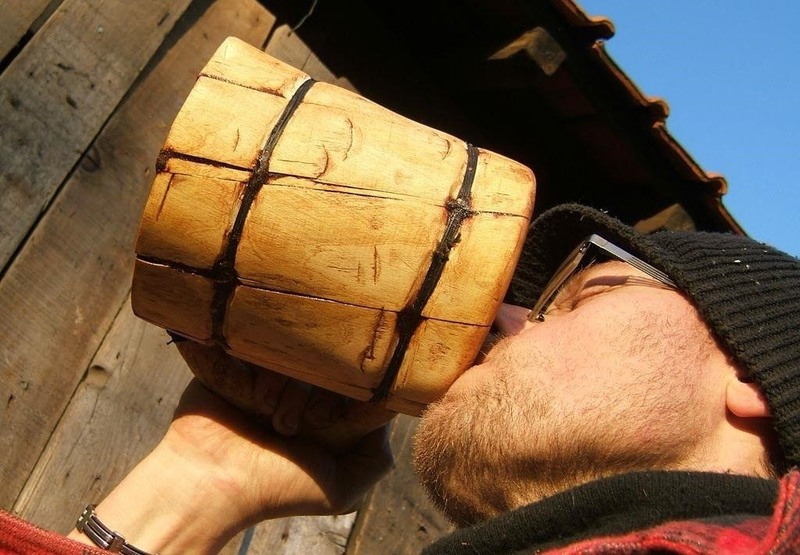 Drinking out of the bottle or pint glass is perfectly fine for the average person, but if you want to be above average and a little creative, then making a giant Viking Beer Mug needs to be on your to-do list. Lucky for us, Instructables user Bricobart laid out all the steps for us, and in the most manly way possible—without any power tools. 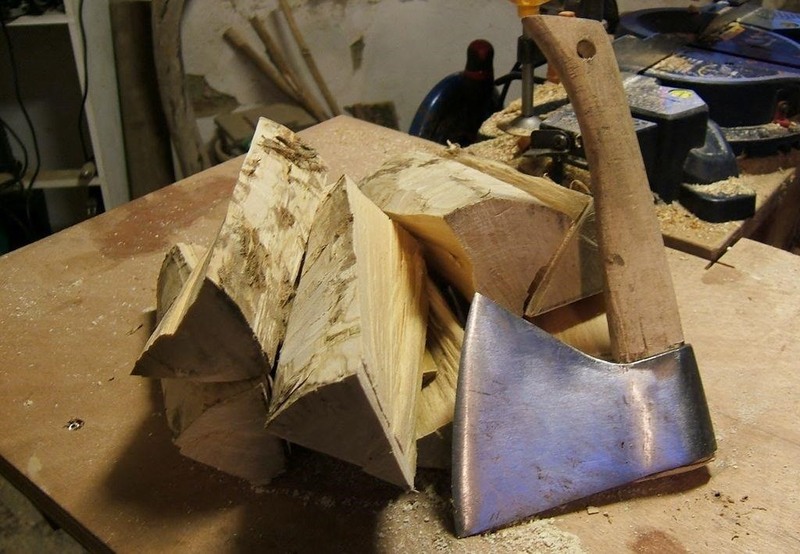 All you really need is a hatchet, knife, yard, wood, and some resin. Head outside and look for a decently sized piece of wood or find a downed log. Chop it down to size, proper for a beer mug, and let the hacking begin. Bricobart chopped the wood into pieces and also found a nice T-shaped stick for a handle. He went ahead and shaved down the excess wood, then smoothed it out with a knife. 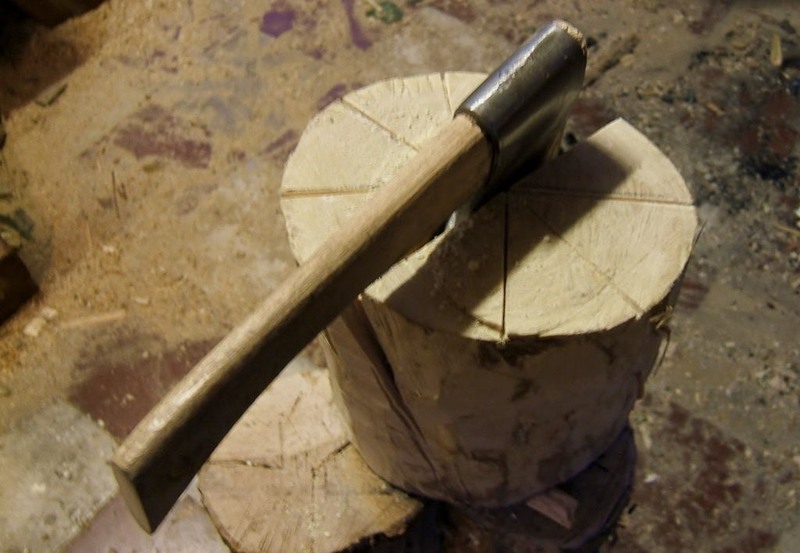 Find another log and chop off a piece that will act as the bottom of your mug and start assembling everything. 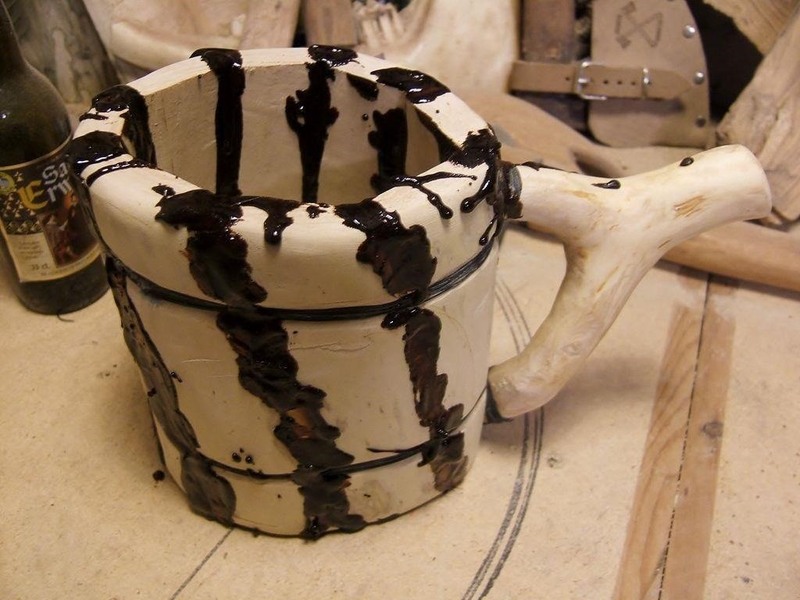 After a few hours of whittling, smoothing, and tying pieces of wood together, your mug is almost there. Add the resin to seal in all of the cracks and crevices and then use some wood oil to add a nice stained look. Give it overnight to dry and soon you can give the gift of Viking drunkenness to a friend. This would also make for a pretty awesome gift. Creating an awesome present with your bare hands adds a little stubble to the gonads, if you know what I mean. Plus, the sense of accomplishment is a gift in and of itself. 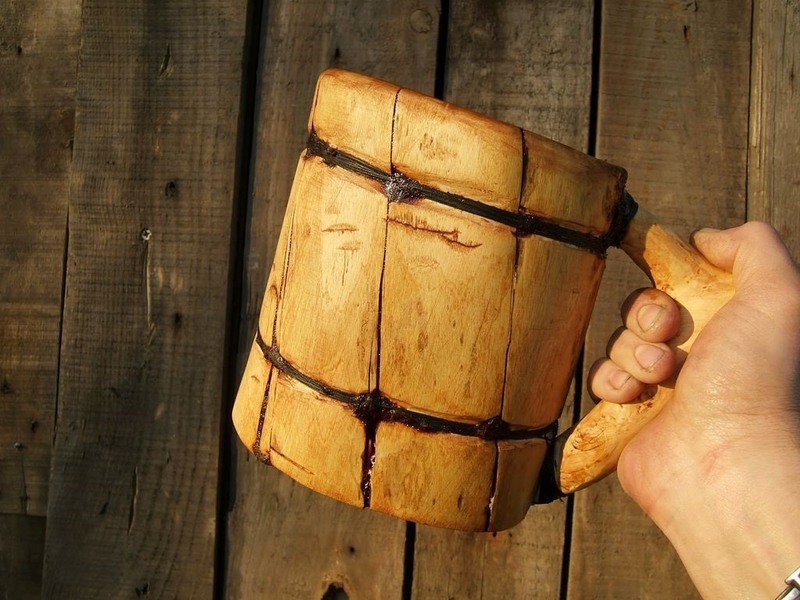 Make sure to check out Bricobart's complete guide to making a Viking beer mug without power tools for more details and images. How would you clean the thing, I wonder? Good question. Most wooden cups/mugs should be hand washed and air dried. No dishwasher for these guys. The whiskey I drink will clean the mug.